Easter weekend has been a weekend of over-eating. 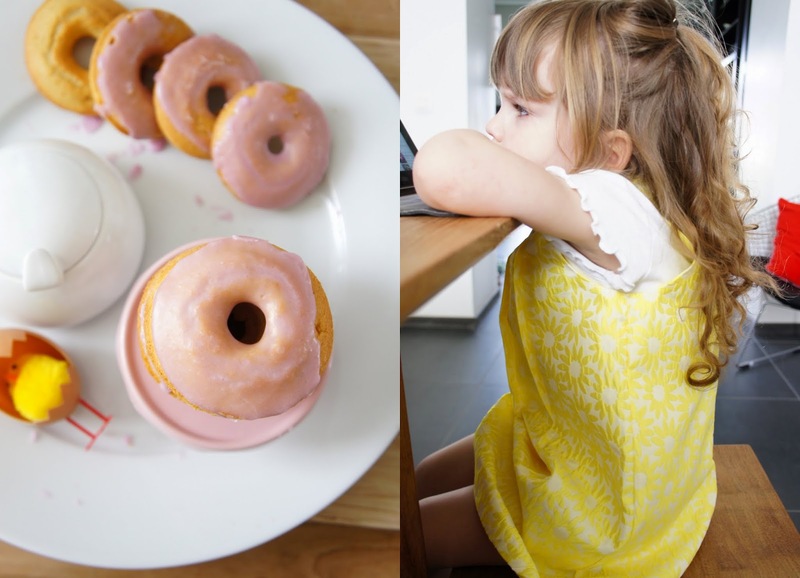 (I will share more of our dinner stories later on the blog) We had my parents over for an Easter lunch with Leg of Lamb with roasted potatoes and carrots and very nice home made baked donuts for dessert. 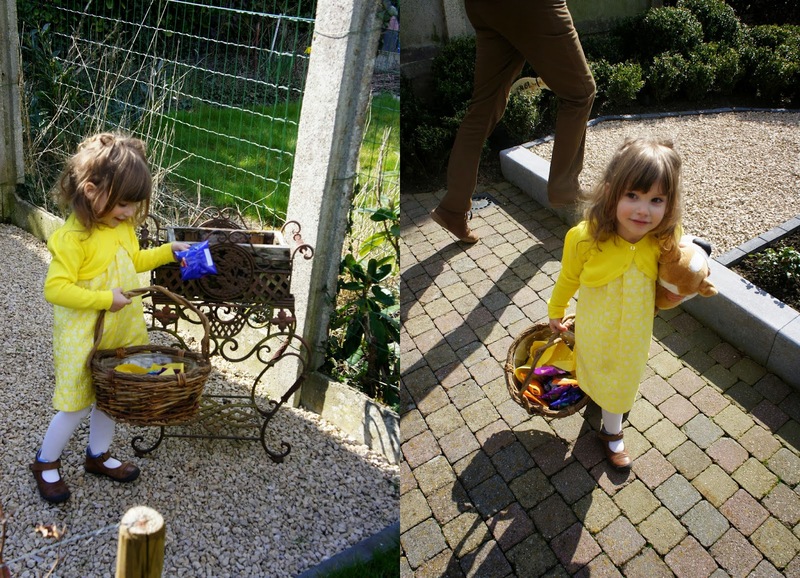 After lunch we went on an easter egg hunt at Olivia's godmother (and ate a very nice strawberry cheese cake). 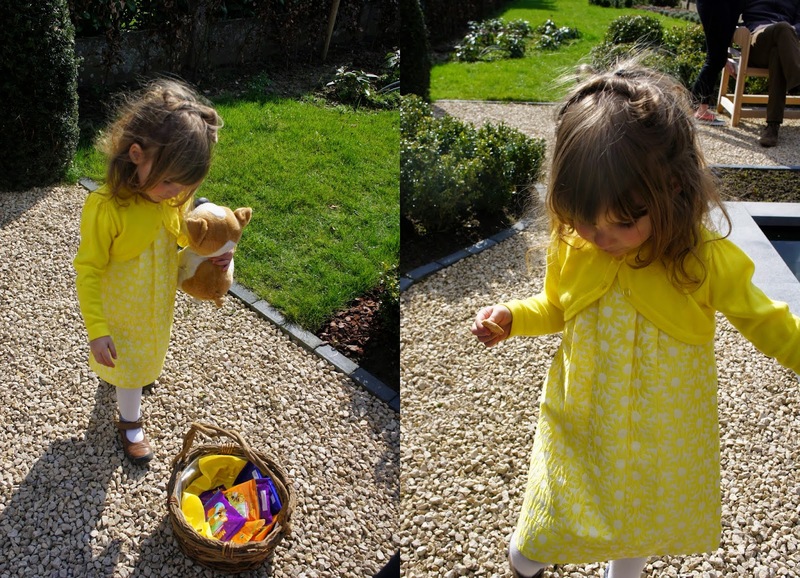 My girl looked so pretty in her yellow easter dress. 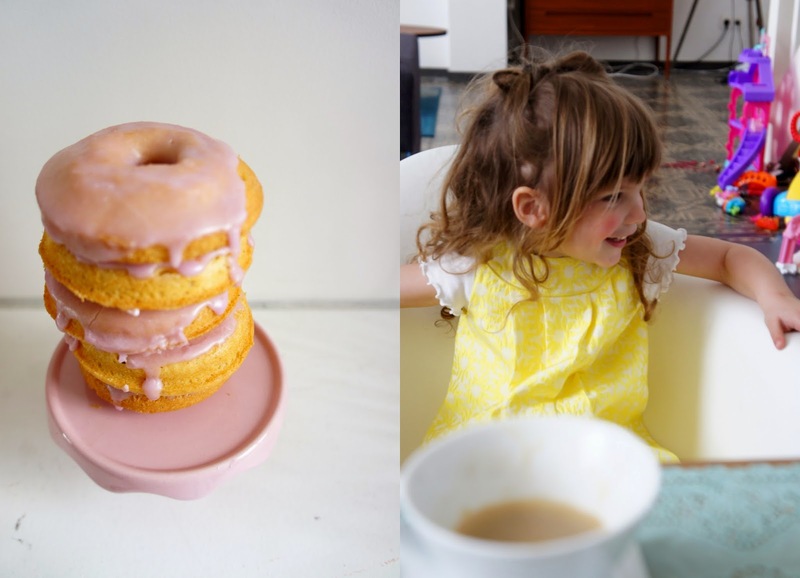 Earlier this week Olivia and I dyed some hard boiled eggs in beautiful pastel colors.